Posted on April 28, 2017 at 12:00 pm. It’s one of the most important qualities you should have as an actor. No, not talent or a busy acting CV. It’s the ability to listen, and take direction. All the talent in the world cannot save you once you’ve built up a reputation for being difficult on set and argumentative with directors. So as someone new to the industry, it’s important that you start your career on the right foot, which means, learning to take direction, and how to make yourself the sort of person a director wants to work with. The audition room is your first chance to show just what kind of an actor you are. Having prepared your lines and decided on your character portrayal, you will be fully prepared to demonstrate your skills and ability to perform the role. However, at the end of your reading, the casting director will probably ask you to do something differently. Whether it’s a different style of reading or movement, they will request that you try it again a slightly different way. Your first response may be to panic, but don’t worry, they aren’t asking you to read again because you’ve made a mistake or you aren’t right, (that feedback would be to show you the door). And their note may even sound like a bad idea, totally at odds with the way you perceive the character and how they would act. Don’t let it throw you off, it is all in fact, a way of ascertaining if learning to take direction is something you can do, and how professionally you can deal with it. Listen carefully to what they have to say, and take some time to think about it if you need to. Make sure you understand fully, and if you don’t, gently enquire as to their meaning. Thank them for the note and then apply it to your performance. Once you’ve finished the reading they may ask you to go, or ask you to try it again, but they are unlikely to tell you how well you’ve done so don’t expect it. Be grateful, graceful and leave the room confidently. 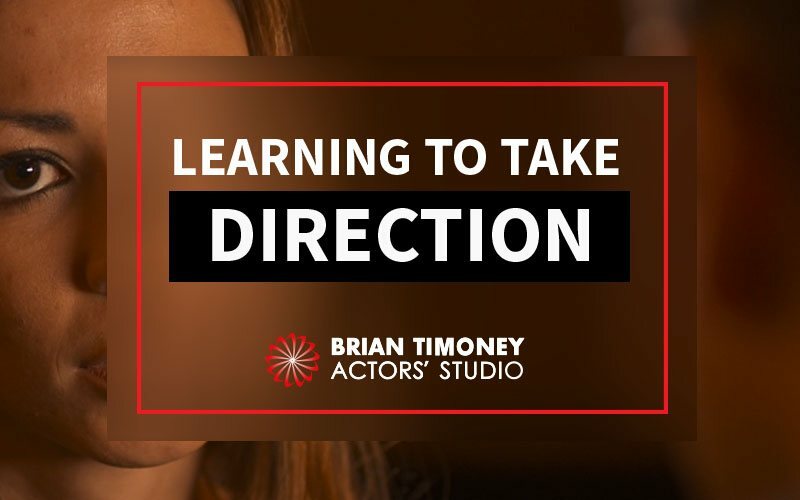 Behaving in a calm and cooperative manner is the only way to succeed in an audition, since casting directors are looking for actors who understand the importance of learning to take direction and are able to apply it to a performance. A production is a collaboration between industry professionals- you need to show how great of a team-player you would be, and how well you would listen to the boss: the director. As I discussed in my podcast ‘How to Take Direction from a Director’, you as actors are there for one reason: to fulfil the brief and create the director’s vision. It can be easy to forget, since it may seem like you are at the centre of the production, but everything that happens on stage or set is down to the director, and they are the person in charge. As part of being in control of everything and everyone, the director is usually kept pretty busy, dealing with everything related to the project, from set design to performance. As a result, a director needs their actors to be professional and easy to work with. This means, if they give you a note, you need to accept it and change your performance without argument. You may have viewed the character differently, and the note may seem like a terrible idea to you, but arguing will only cause more stress to the director, and potential harm to your career. The director is the one with the bigger picture in mind- you must trust in their vision and work with their direction. When it comes to notes, the director will often do a ‘notes session’ at the end of the rehearsal day. This is a quick way for the director to summarise their thoughts and voice any concerns to the cast as a whole. However it is important to remember that you DO NOT want to be included in this list of notes. Being left out doesn’t mean you’ve been forgotten, it means you’re doing a good job! It also means you shouldn’t pester the director for feedback or advice. Keep doing what you’re doing- they will tell you if there’s a problem. Often one of the most irritating problems the director has to deal with is the one or two actors who are intent on arguing and bringing down the energy of a production. They disagree with notes, pick holes in the story and criticise the director to their cast mates. They don’t take direction well and cause trouble in rehearsals. This behaviour is not only unprofessional, but it has the power to really damage a project. These actors are the ones that don’t get rehired, and often wonder why. If you want to survive in the industry, you need to bring positivity into every project you collaborate on. It will make people want to work with you time and time again. Directors, casting directors, agents and managers talk to each other, some might even be friends. If you fall foul of one you can bet you won’t be hired or represented by the other. Everyone in the industry talks and many do their best to help out productions by recommending or condemning actors to their colleagues and friends. And since the very nature of the performance industry means getting to know a lot of different people over a relatively short space of time, news about a particularly difficult actor travels fast. For this reason it is vitally important that, as someone new to the business, you do all you can to forge yourself a sterling reputation. Critical to this is your ability to listen well and learning take direction without question or difficulty. That’s not to say that it’s always inappropriate to voice your opinion about something, in a workshop, for example, where you are collaborating on a project and developing it, you would be expected to give your view. But generally, in audition or formal rehearsal, the director expects to have the last word. Entering the acting profession is tough, with so much to learn and so much etiquette to follow. When casting the first thing a casting director will look at is where you trained, and then look to see if they know any of the directors you’ve worked with in the past. 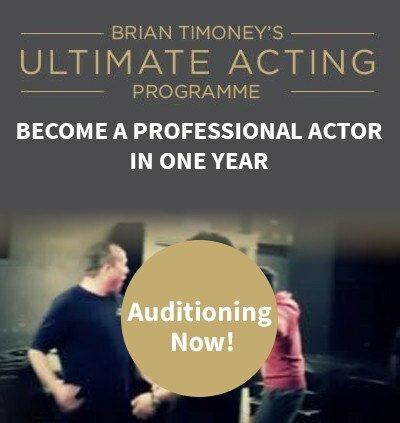 My Ultimate Acting Programme with it’s directed Showcase at the end is the perfect start for anyone’s career. We are a trusted name in the industry, and one constantly approached for information on actors we’ve worked with in the past.